Deadpool MAX II #2 comes out tomorrow November 16, 2011. Deadpool and Bob are the worlds’ most wanted terrorists. The only person who can clear their name is Bob’s secret agent ex-girlfriend, but she’s shacking up with the metal-armed Adonis called CABLE! 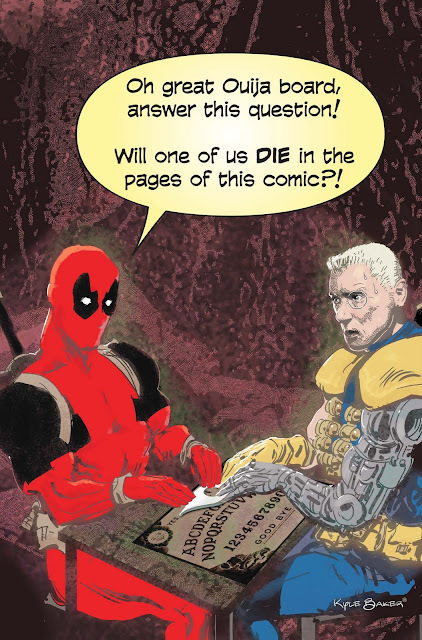 Maximum jealousy leads to maximum gunfights in DEADPOOL MAX II # 2. Please note: This post was scheduled to post automatically, and at the time of creating the post all sources indicate this comic will be released on 11/16/11.